Meredith Avery just left her husband. With her decision to just get up and leave, and with the lack of any actual planning, she finds herself in quite a hard spot pretty quickly. But, she is determined to start over, and the first thing she needs to help her accomplish her goal is a job. Unfortunately… the reception she receives at her new employer is a tad… unfriendly. Meredith is intent on doing her job and figuring her life out, and one jerky boss isn’t going to bring her down. Especially one who is as good looking and as completely insufferable as Jack McNight. Jack is buried in work with no help in sight. And then Meredith shows up and his already stressful life skyrockets to unfathomable heights. Sure, he promised to give Meredith a more than likely, very temporary job, but he sure would enjoy seeing her squirm a little before she ultimately gives up and moves on. 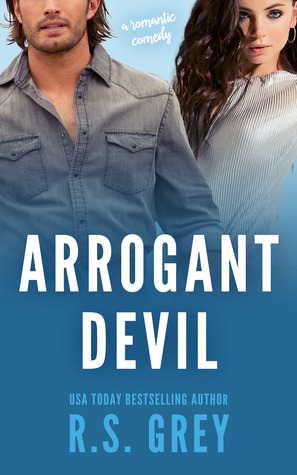 With personalities that are constantly at odds, this willful duo is set to show the people of Cedar Creek, Texas just what they think of each other. But, when first impressions prove to be incredibly wrong, Meredith and Jack find themselves actually… liking each other?